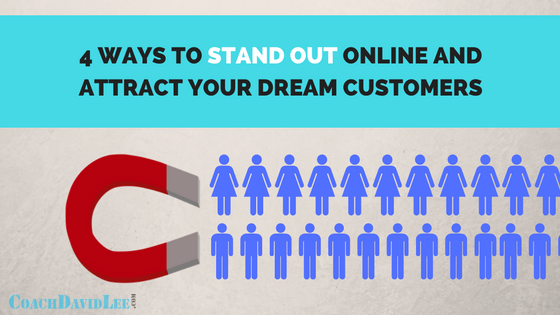 Taking your business online and actually standing out might sound impossible. It’s crowded online. But not only is it very possible, you can actually attract the perfect clients and customers you HOPE find you. I call these your dream customers. They’re the ones who you would love to do business with. They’re the ones who you know you can serve and positively impact. 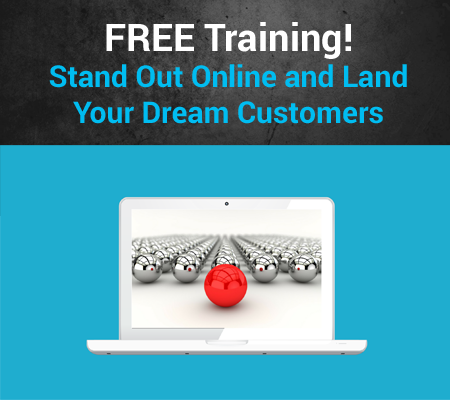 What if I told you that your dream clients and your dream customers are online right now looking for YOU? Well, they are, and there are four key ways in this post to make sure they find you and want to do business with you (like the ones who happily hand over their money because they like and trust you). All of these are things you can start doing right now on your website or blog. Always remember, no matter what you’re trying that’s new, just get out there and start doing. It won’t be perfect, and that’s OK. Action is what matters. This one might seem like a big “yeah, duh” but A LOT of people don’t spend nearly enough time understanding their specific target market. The keyword there is specific. The more specific you can get, the better. You may think you have a good grasp of the dream customers you want to attract to your website and business, but can you describe them specifically? Can you picture them in your head? Do you know what problems and questions they have? Do you know what they’re searching for online? In order to stand out online, you have to be able to answer these questions to understand not only who your target market is, but what they want and need. Get out there and hang out with them. There are countless Facebook groups, message boards and forums that you may already be part of where your target market is hanging out, sharing ideas and asking questions. Pay attention to the questions they ask and the problems they have. 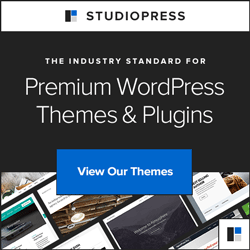 These are invaluable because you can use this info to create content that answers those questions and solves those problems. Get even more specific by finding out what keywords they are using to search for answers online. There are three powerful and free Google keyword search tools you can use right now to find the keywords they are searching for related to your business, product or service. You can take those keywords, along with the questions and problems your target market has, and build content around those specific keywords and serves the people you want to attract. The whole idea when creating content (blog posts, videos, audio, webinars, etc.) that your target market wants is to give, give, give. Answer questions. Solve problems. Offer value. In fact, overwhelm them with value. Yes, you’re giving away free knowledge and expertise. This is a totally different mindset from promoting and selling. I’m not saying that you should never do that, but making a sale is not the purpose of your content. Remember, you’re trying to ATTRACT your dream clients and dream customers. Think about what attracted you to some of the websites, blogs and video channels you follow. This content could be anything from a short blog post to a training webinar. Just make sure it’s solving specific problems. Don’t be general or too broad. If you think your topic is too specific, it’s probably not. Your content should be like a sniper, sighted in on a tiny target. Overwhelm them with value to build you up as an authority and to build trust. The idea is to give so much free, valuable content so your visitors reach a point where they actually WANT to buy from you because you have already given them so much. 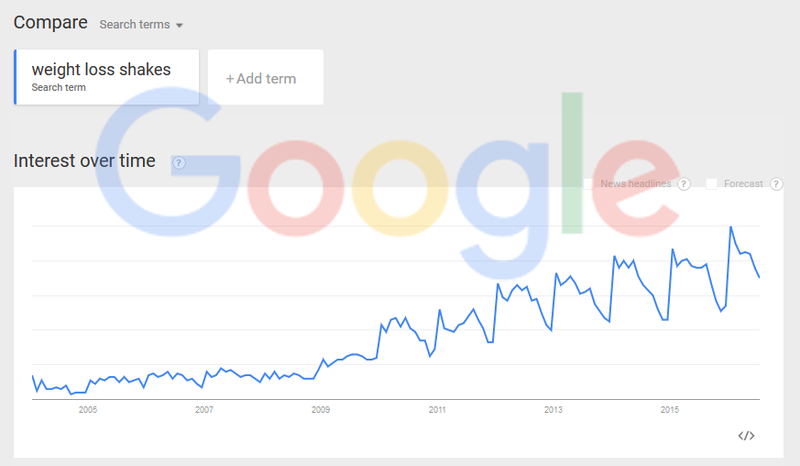 Another great way to stand out online is to stay on topic with your content. Don’t trail off into another topic. Keep it focused. Use the keywords in your blog post. As a general rule, use the keyword(s) about one in every 100-150 words. Don’t force it. Just be natural, but also make sure you’re reminding your readers of the topic every once in a while so they can easily follow along. The dream customers you’re trying to attract have specific questions, and they’re looking for specific answers. For example, they’re not looking for a rundown of key ingredients in your meal replacement shake. They want to know how to lose 10 pounds in the next month. So, show them, specifically, how your meal replacement shake can help them lose 10 pounds in 30 days. Focus on the results. Come up with some kind of schedule for your content. Maybe it’s two blog posts a week, three live videos a week on Facebook, and one extensive training video a month. Whatever makes sense for you, just be consistent with it. You won’t be able to maintain that consistency all the time, but once people start consuming your content and following you, they’ll expect you to create new content on a somewhat regular basis. If you’re not creating content consistently, I guarantee you someone else is. And your dream customers could go elsewhere to get their questions answered. It’s not enough just to throw out content into cyberspace and hope someone somewhere out there finds it. That could definitely happen with the more content you create, but promoting your content is just as important as creating it and making it valuable. A great way to do this is to go where your target market hangs out online. Meet people. Get to know people. Ask them questions. Figure out if you might be able to help them. Make it about THEM. 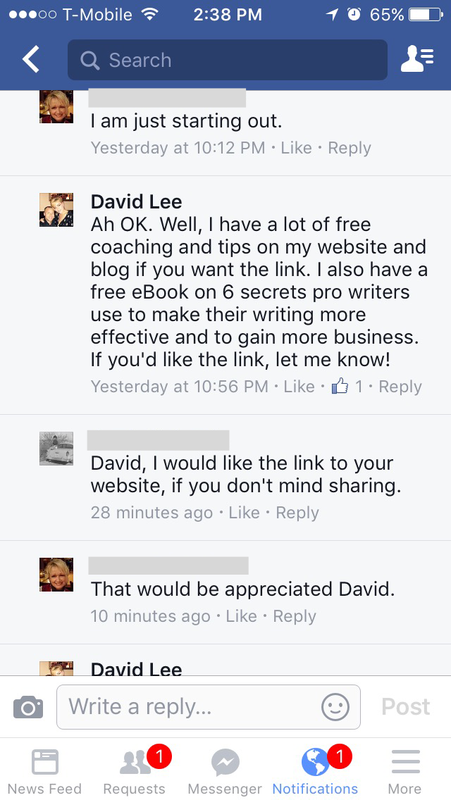 Don’t go around spamming the links to your website, blog posts or videos everywhere. That’s tacky, unprofessional, and will instantly hurt your credibility. See how no-pressure that is? It’s courteous, helpful and professional. It puts them first and offers them value. Approach everything from a mindset of giving and serving. Your authenticity and expertise will show, and that’s what will attract your dream customers. If you got some value from this post, and want to learn more about standing out online and landing your dream customers, check out my full online course on my Courses page here (discount included!). Thanks Emily! Glad they helped. Great tips! It is so important to attract the right audience to your product – otherwise it will never go anywhere! Who wants spam followers instead of dedicated followers? No one! Thanks Lauren! Yes unfortunately way too many people focus on selling/pitching rather than creating helpful, valuable content that solves specific problems and answers questions. I’ll have a 4-hour online course on this topic up and running soon. Nicely summed up. The post is like handing out a mirror, even to pro bloggers, to show gaps in their strategy! Great article! I really got some helpful tips out of this. Thanks, Marissa. Glad they helped! Needed these tips and reminders this morning! Really hoping to grow my site and make it a full time job! Thank you!! Thanks, Chloe. Glad they helped. I’ll have a 4-hour online course on this topic up and running soon. I try to be consistent and have a target but sometimes that is hard especially when you are still trying to find yourself, your voice. I looked at your post from a blogger’s point oif you because I do not have a brand or customers, just a blog. Have you watched Simon Sinek’s TED talk? This post made me think of that when you said target. Great tips and great snapchat name btw. Hey Joanna, yes I have seen several of his videos and talks. One of them gave me the idea of changing my tabling on my header to focus on what I believe. My eBook talks about some tips on just being yourself. Focus on your expertise and what value you can bring to people. What questions you can answer.